The Website Is Having a Makeover! - Joyful Toddlers! 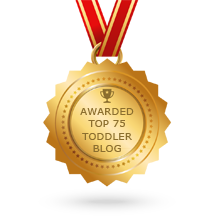 Check out the new Joyful Toddlers website! Many thanks to my web redesign team, Kay Diamond and Wahhab Baldwin, with logo design by Aditto Chan at 99designs.com. This has been a labor of love on Kay & Wahhab’s part as their expertise was far beyond my budget. 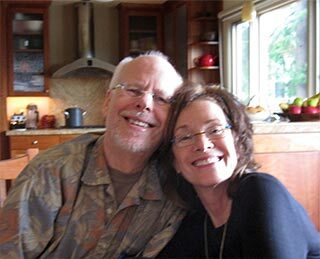 But because they are my lovely Father (web programmer) and Stepmom (web designer), and have recently retired, they have put in an amazing amount of time, energy and expertise to make my website both more beautiful and more functional. Thank you to them! Posts are separated out into Categories, with a selection of posts from each category easily visible from the homepage. Categories include “Discipline & Connecting,” “Harmonious Home Life,” “Your Social Toddler,” and “Games & Activities.” There is also a section “For Care Providers” in the right-hand column, which draws relevant posts from each of the different Categories. You can sign up on my mailing list! I will send out 4-6 emails per year, letting you know about upcoming talks & classes, along with fun tips & tidbits to boost your inspiration for interacting with children. There are now links to “Share” individual posts by facebook, twitter or pinterest. If you have posts of mine that you love, please help spread the word! You’ll see buttons at the end of each post to share it in different ways. Access to my own Pinterest boards. See the “Joyful Toddlers on the Web” section on the righthand side? Click on the Pinterest icon to see tons of fabulous pins with toys, crafts & activities. I collected these for my Ongoing Members (folks who have taken my Tele-Class & continue with me), but I’ve decided to share the wealth with everyone. Happy pinning. Finally, I’m announcing the dates for my next Tele-Class, which will start on October 13th. I’ll do a separate post about this in a few days, but heads-up: I won’t be offering a winter Tele-Class this year, as I’ll be having a baby in January! So if you’ve been debating whether to do the class or not, now’s the time! Learn more about the Tele-Class Joyful Days with Toddlers & Preschoolers. Poke around the new website and let us know how you like it! You can leave feedback in the comments of this post, or send me a private message. Just wanted to tell you how much I love the website design, it’s beautiful, Faith! Talk to you soon!